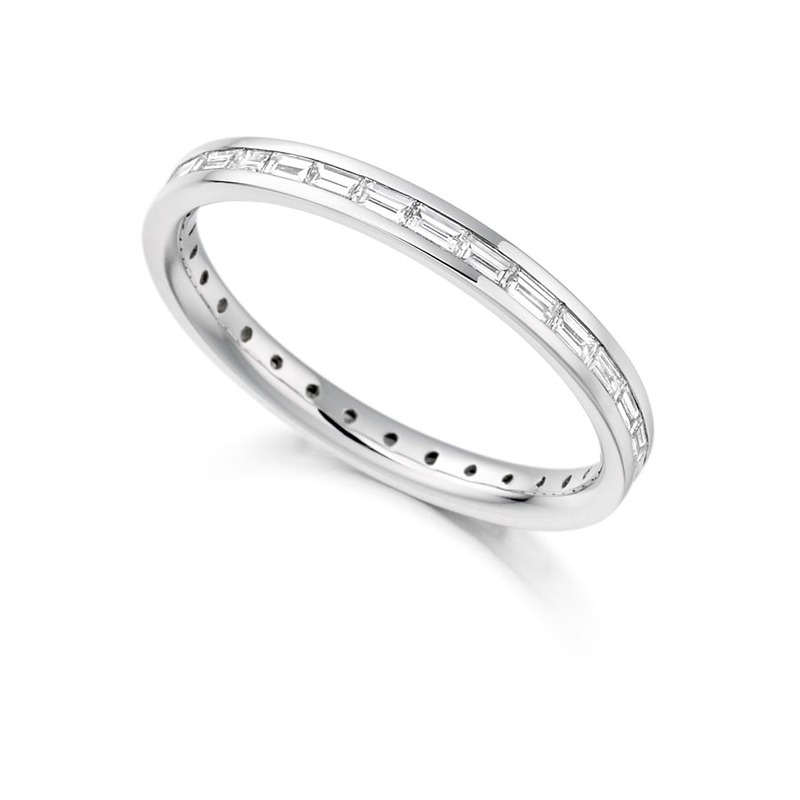 Simple, understated and truly elegant, this 18ct white gold, full eternity ring showcases stunning channel set baguette cut diamonds, laid horizontally so that the stones follow the contours of the band. A symbol of one of life’s precious moments, this beautiful diamond ring can be crafted to your requirements and can be made in 18ct yellow, rose gold and platinum. We are delighted to discuss your ideas and quote for bespoke styles. Voltaire Diamonds are based in beautiful and relaxing offices in Dublin 2. We would be more than happy to take you through the different styles and discuss your preferences.